Spoken word artist, writer, poet; isn’t that all the same thing? I am all in one. I started writing short stories when I was younger and it gradually became smaller (instead of getting bigger? Irony) Until I ended up with a poem. Not taking into account that I have just written my first of MANY poems I carried on with my school life. Getting involved in projects with The Mac, Sampad and Ulfah Arts I began to establish the fact that I’m an upcoming poet. The future. 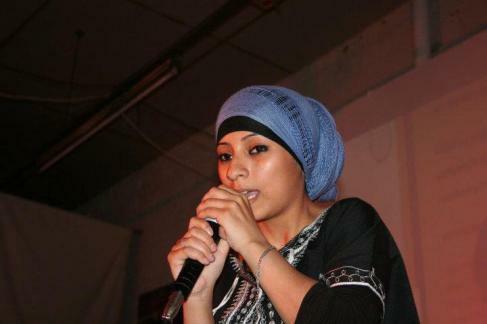 Taking my first audience with Sampad, I had my first ‘out of many one’ performance at The Town Hall (Birmingham) I then realised I was a spoken word artist. Since then my words have never stopped. Uncompleted and completed poems lay under my bed and jotted on random pieces of paper or draft messages on my phone. Writing is not just a hobby but rather MY way of living life. Speaking is not scary but sharing my thoughts to people who may or may not agree with me. Either way its refreshing to share my thoughts! That’s me, Amerah Saleh, wrapped up in less than 200 words!